For the past couple of months, I only go out whenever I have to do fill up the grocery list or go to school. I really haven't have the urge to go out and enjoy autumn so much which is of course by choice. Aside from the busy schedule in school, I have been sick for a week (which began the day before my birthday and lasted until the following week) which has been reason enough for me to stay at home most of the time. 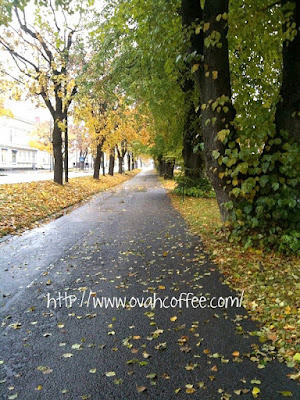 This photo is my one and only photo which I've taken myself during autumn 2009. How I wish I have taken some more.